I find it super hard to keep myself hydrated throughout the day, it’s been an issue ever since I was young when I used to suffer from migraines from dehydration quite frequently and severely. 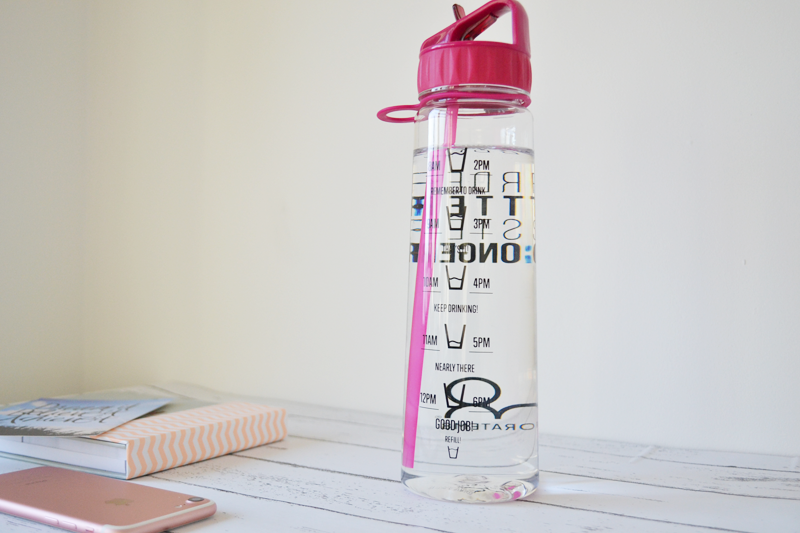 Of course, with age I’ve learnt how to know when a migraine is coming on and to drink plenty in attempt to avoid it developing, but sometimes when I’m busy working or at uni, it can be hard to keep hydrated all the time! We all know the benefits water has – better skin, flushes out toxins and provides more energy, so why is it so hard to keep on top of it?! Last semester, in attempt to keep hydrated I bought a big 1.5litre bottle and used that to guide me as to how much I was drinking throughout the day – I figured if I managed to finish at least one bottle of this I would be on track. But this Christmas my mum got me something even more useful to keep on track with my hydration levels – hydratem8. 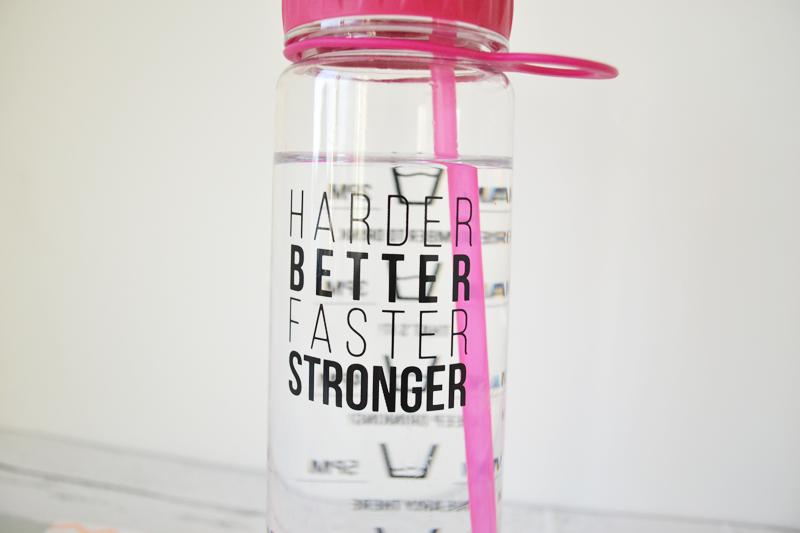 Hydratem8 is a super handy motivational bottle which reminds you to drink every hour of the day. The design of the bottle has a countdown from 8am to 12pm where you then refill, to 2pm to 6pm. It keeps you drinking little but regularly which is something I often struggle to do – I get tangled up in the days tasks and by the time I remember to drink something hours have passed by! The bottle carries 900ml, so with the refill half way through your day you’re drinking just under 2 litres. They also come in all sorts of cute motivational designs, which are right up my street! What do you think of hydratem8? 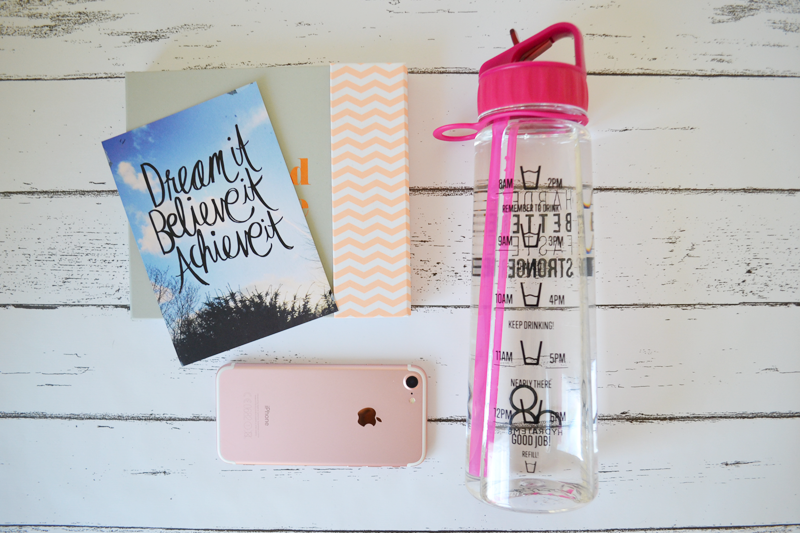 How do you keep on track with your hydration?